Alison grew up in the tiny New South Wales town of Bellingen, where she enjoyed life in her small, secure family. When she left school, she trained as a teacher and upon graduation, moved to Gympie and taught at Cooloola Christian College. While in Gympie, she attended the Gympie Community Church. In 2008, with only a few years teaching under her belt and the backing of her church family, Alison pursued a life-long dream to do mission work overseas. She moved to Venezuela and taught at an international school in Caracas. Eventually, her teaching role gave way to a more hands on mission role, in a local church in Maracay, where Alison was involved in evangelism, discipleship, prison visitation, ministry in schools and universities, as well as hosting ministry teams from other nations. Her ministry roles in each of these settings have been incredibly diverse, from running teen pregnancy workshops, translating, preaching, teaching English, running youth groups and coordinating the distribution of Samaritans Purse shoe boxes. Alison was also tasked with church planting. 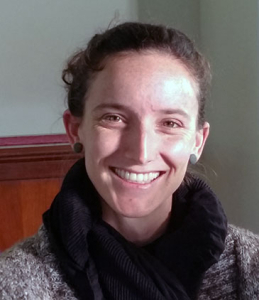 With six years experience in South America, Alison sensed God calling her back to Australia. In 2014 she began a one year role as Youth Pastor at Gympie Community Church, but during that year, felt God calling her to remain in Australia. Gympie Community Church is delighted to have Alison on our staff team now, where she looks after our Children, Youth & Family ministries, as well as other varied pastoral work. Alison is also a School Chaplain in a local primary school.